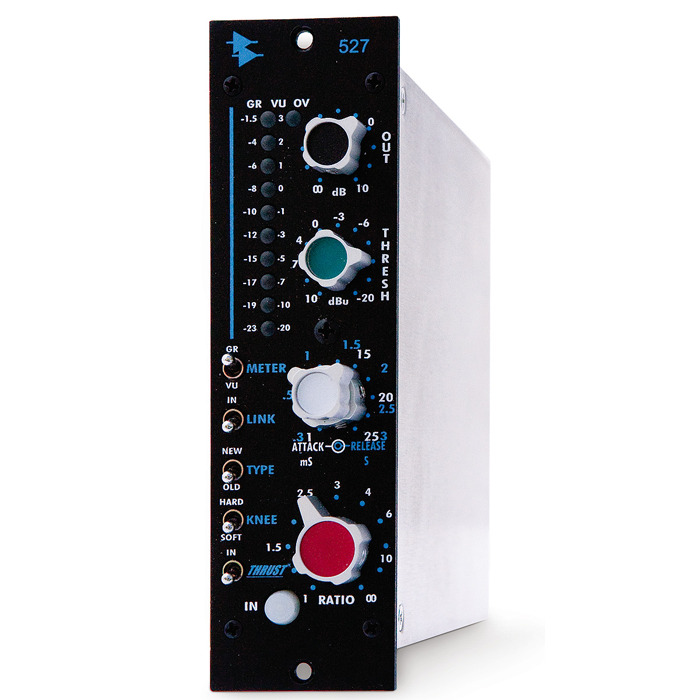 API 500 series 527 mono tracking compressor. The API 527 is a fully discrete compressor incorporating the patented thrust circuit from the API 2500 stereo compressor and classic API 2520 op amps. The 527 features separate variable controls for attack, release, threshold, ratio, and output.There is also a fast forward/feedback switch, hard or soft knee switch, and an excellent led meter. API COMPRESSION ALWAYS ON DEMONSTRATION AT THE STUDIO SHOP !